In a country facing protests on one hand but also named as one of the fast-growing MINT economies to watch, the questions marketers face in Turkey are not dissimilar to the world over. 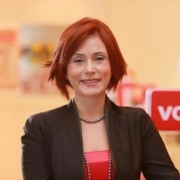 Bilge Ciftci, head of brand and marketing strategy for Vodafone Turkey, shares her perspective for 2014. Read what top marketers from around the world have to say about marketing in their country in our Window on the World series. A few weeks ago, I was asked if I would be interested in sharing my perspective with fellow marketers around the world about what is happening in marketing in my country. I thought it would be worthwhile to share two key questions I asked myself and my team while I was planning for 2014. 1. Let’s get social... but how? It is not new news that people are spending more and more time on social networks. Turkey is particularly "digitally social" - we are number seven in the world in terms of number of active Facebook users, and number six for Twitter. Therefore, use of social media is particularly important for brands in Turkey. Every brand says, "Let’s get social", but how exactly is still a tough nut to crack. My first example is not from a brand, but from a municipality in Istanbul, called Kadikoy. I admire the foresight and marketing wisdom behind trying to turn a "municipality" into a brand. This is an affluent part of Istanbul with highly-educated, digitally-savvy residents. The leadership team of this area "knew their customers well’ and they set up a Twitter account for interactive engagement with the public, instead of formal announcements. In doing so, they adopted an unconventionally witty tone of voice for their responses. For example, when a certain resident stated her pleasure with a certain project, saying: "Guys, I really like you for doing this." They quickly responded with: "Thank you, we have feelings for you, too *smiley face*". This simple response got retweeted so much that soon this particular municipality became a "Twitter phenomenon to follow" because "they are so cool!". Why did the municipality of Kadikoy choose to communicate with people over a Twitter account in such a way? Their motto is: "It is a privilege to live in Kadikoy" - and they are trying to make this come to life in the way they interact with people on Twitter. Another example is one of our own. It is very important for Vodafone Turkey to become the "most recommended operator" in the country. We decided to also use social media as a critical part of our marketing programme. For example, we featured a real Vodafone brand advocate in our social media accounts for two months and asked them to tell our followers why they would recommend us. This was supported by a #irecommend hashtag where people used Twitter to engage in a conversation about why they would recommend anything, as well as Vodafone. The campaign was very successful: it led to a large increase in Net Promoter Score; a 169% increase in our Facebook fan base over a two- month period; it won the Silver Stevie for Best Brand Experience at the Stevie Awards 2013; and it also got selected as a case study by Facebook. 2. I need to get my brand liked... social responsibility seems to be important. Should I just donate money to charity? Consumers say they would not mind if 70% of the brands they know disappeared tomorrow (source: Meaningful brands for a sustainable future, Havas Media). This calls for some thought: why would they not care about my brand? We offer the best taste, cleaning, sound, colour - so, why would they not care? In my view, as technology converges to a saturation point for most industries, the visible difference between the physical performance of different brands becomes irrelevant. For example, you can wash your dishes with one liquid and not be able to distinguish it from any other brand of liquid. But if you knew your choice of brand was also concerned about water consumption, environmental pollution and the safety of your children, you become more interested. You care about more than just getting your dishes spotless – and so should your brand of choice. I think that those brands that do care about making the world a better place stand a chance of falling into that 30% category. The best approach to this is to do your business right or use your business to make things right, rather than "giving money to charity". Some of my favourite examples from Turkey include a snack and biscuit company supporting a programme that raises awareness of sustainable agricultural methods and a seafood company supporting sustainable seafood and not purchasing fish caught using disruptive methods. Vodafone also approaches social business in a similar manner: The "Women First" programme we run in Turkey enables women in the rural parts of the country to have access to mobile phones and to the internet. Using mobile phones,women in rural communities are able to put up adverts for their handmade goods and sell their products on a virtual marketplace. This helps them generate income for themselves and their families. There are examples of women seeing a significant increase to their income, as advertising and selling their products online has meant they have more time and can reach out to a wider community, not just to their local villages. I believe a deliberate social media strategy and a socially responsible positioning are of great importance for brands of this era. The reason is simple: thanks to the internet people are much more able to interact with, and find out more about, any institiution today. People no longer want to be talked at; they want to be interacted with. They want to share their opinions, likes, dislikes and expectations. Therefore marketing needs to evolve to a higher level than focusing on "advertising". Social media and social responsibility projects are two great ways to achieve a much closer, and more transparent relationship with our customers.